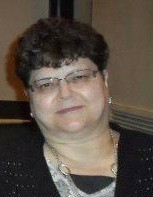 Patricia Ann “Patty” Karst, 59, Great Bend, died Monday, February 11, 2019 in Russell County. She was born May 21, 1959 in Plainville the daughter of Albert E. and Doris A. (Ochs) Karst. She graduated from Hays High School in 1977, was a former member of the Messiah Lutheran Church in Hays, and worked as a vision tech at the Wal-Mart Vision Center in Great Bend. She liked to play games, tell stories and jokes, crochet and sew, often sewing clothes for her niece. She loved Christian music and was the perfect aunt, always providing games and entertainment for her nieces and nephews. Survivors include three brothers; Tom Karst and wife Mary of Hays, Doug Karst of Russell, and Mark Karst and wife Shannon of Victoria, two sisters; Dianne Schmidt and husband Gene of Great Bend and Maryln Schumacher and husband Larry of Lyons, two brothers-in-law; Pat Herrman of Sturgis, SD and Lance Smith of Hays, numerous nieces, nephews, great nieces, great nephews, and great-great nephews. She was preceded in death by her parents; Albert and Doris Karst, a brother; Steven Karst, two sisters; Lois Herrman and Lanita Smith, and a nephew; Dustin Karst.